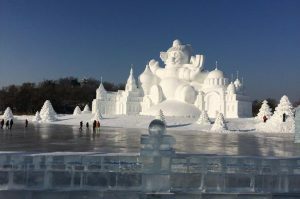 When I started writing this post about Christmas Breaks 2017 I had Christmas Market Breaks in mind, but once I started researching I discovered a whole host of alternative and really exciting ideas for things to do around the world during December and the Christmas holidays. 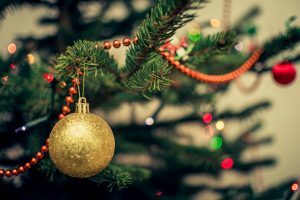 But for a moment lets go back to Christmas Market Breaks, which are a lovely and fun way to complete your Christmas shopping while treating yourself to a little trip before the Christmas Holidays. 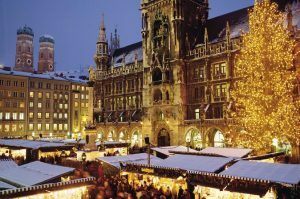 I already have mine booked in Europe and will be heading to Munich in December to enjoy a weekend visiting Munich’s many Weihnachts-Märktes with my good friends who live there, Denise and Jan! 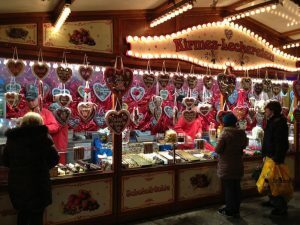 Winter temperatures in Europe can really plummet but there is nothing lovelier than embracing the joyous Christmas Market ambience wrapped up in your winter woolies while you sip a warming cup of Feuerzangenbowle, a delicious variation of Glühwein, but with the addition of sugar caramelised by burning rum. Yum! I know Denise will opt for her favourite Christmas drink, the Eierlikör, or “egg liqueur” in English, a traditional German Christmas liqueur and very similar to eggnog while Jan will be checking out the many hot food stalls that offer all sorts of lovely German food. The craft stalls are filled with all sorts of unique Christmas present choices and the music and entertainment just makes visiting the Christmas markets a really uplifting and fun experience and I can’t wait!! I’ve only ever been to the Munich Christmas Markets, but they are now extremely popular all over the world so the great thing is you don’t have to just be in Europe to enjoy them. 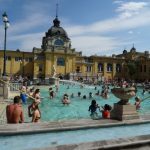 Following are a few exciting ideas from around the world that I have found on Viator.com to consider for your ideal Christmas Break and its not just all about visiting markets either! 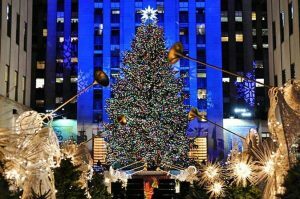 I’ve not yet had the pleasure of exploring America in depth but there are a number of American destinations on my bucket list with Christmas shopping in New York being at the top. And I’m not alone!! Christmas shopping in New York is an extremely popular short break destination for many from both sides of the Atlantic! I’m sure there are lots of great ways to explore New York, but I found this little gem on Vaitor.com which sounds like fun. For me New England conjures up romantic visions of colourful autumn leaf peeping trips and being cosily wrapped up on crisp winter days. I was delighted therefore to find this little three day Christmas Package which sounds enchanting and seems to pack lot in. 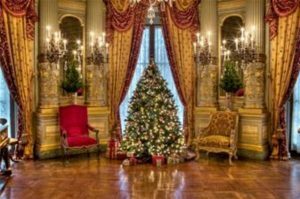 Experience a New England country Christmas with a 3-day tour to Camden, Maine from Nashua, New Hampshire. Do your Christmas shopping as you browse artisanal products and handmade crafts, stop by Maine’s best outlets, and stay at a welcoming inn near the coast. 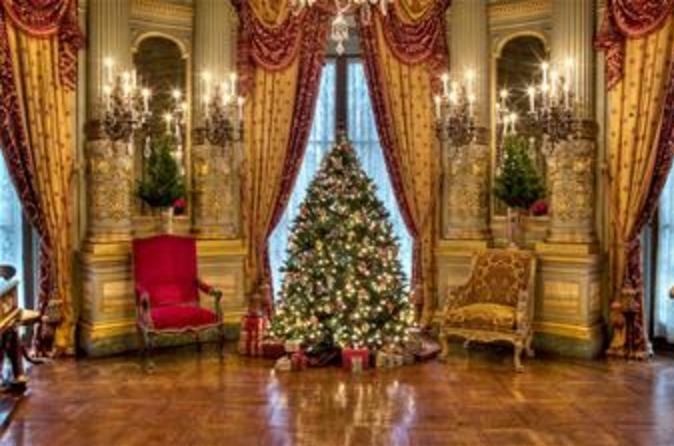 Explore the area on a horse-drawn sleigh or wagon ride, visit art museums and holiday light displays, and wake up to gifts under the old fashioned Christmas tree before returning to New Hampshire with stops for gourmet tastings and shopping along the way. Wow!! This one sounds awesome! If you are a bit of an adventurer or an adrenalin junkie this could be the one for you! 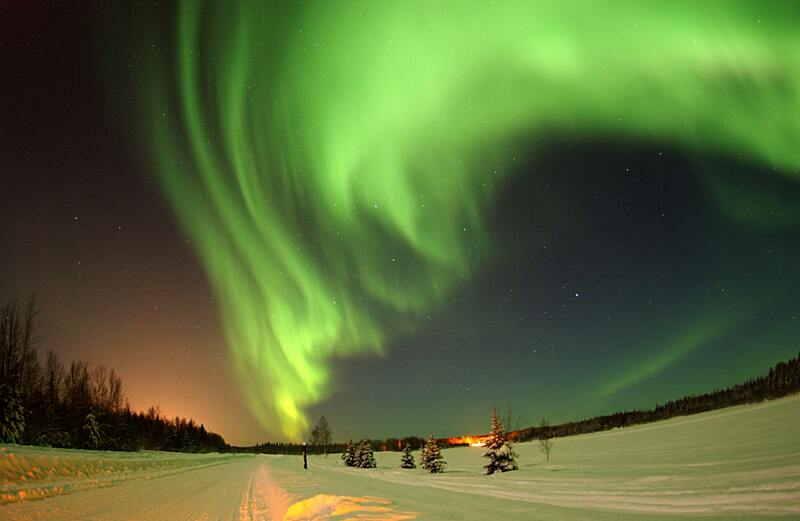 Immerse yourself in the wintry wonders and snowy scenery of Yellowknife during 5 days 4 nights action-packed days of Christmas outdoor adventure. Spend the daylight hours snowshoeing, dog sledding, drive on ice road with only 5 feet of ice separate you from 630 meters fall from one of the world’s largest lakes “Great Slave Lake,” and soak in the splendor of the Northern Lights show after-dark aurora-hunting-viewing excursions. 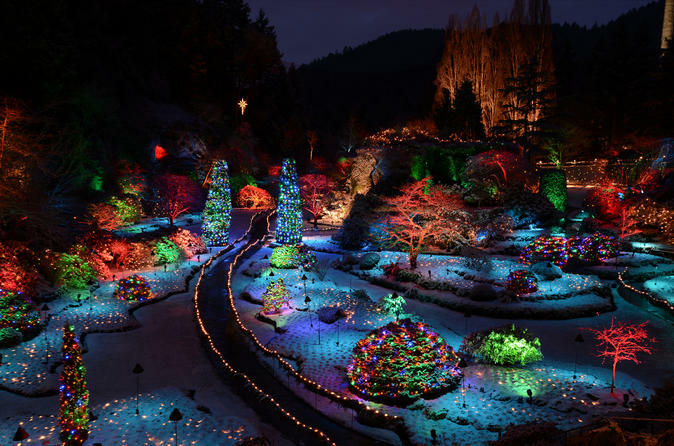 There are a number of tours to see the Butchart Gardens Christmas lights in Victoria, but I like the idea of this wine tour and Christmas lights combined package. Cowichan Valley, just 40 minutes from Victoria, offers scenic drives through a temperate rain forest, mountain vistas and farmland. It features wonderful local cheese, food and of course wine and libations of all sorts. Meet the owners and winemakers along the route. You’ll pair local cheese and charcuterie with wine all while you learn more about the wines of this region. Next, enjoy the magic of Christmas at Butchart Gardens Christmas lights, holiday wreaths, carolers, ice skating, festive dining. There are three daily departure times – 2pm, 5pm or 6:45pm with three return times. It is easy to get around Munich on your own, but if you want to take a guided tour this sounds like the ideal one. Soak up the holiday spirit with a 2-hour tour of the Munich Christmas markets. With more than 20 holiday markets across the city, follow a guide through Munich’s Old Town to explore the city’s festive offerings, including Christkindlmarkt in Marienplatz. Shop for handmade Bavarian gifts, sip on glühwein (mulled wine), and try lebkuchen, the gingerbread cookie that has been a local Christmas staple since the 14th century. 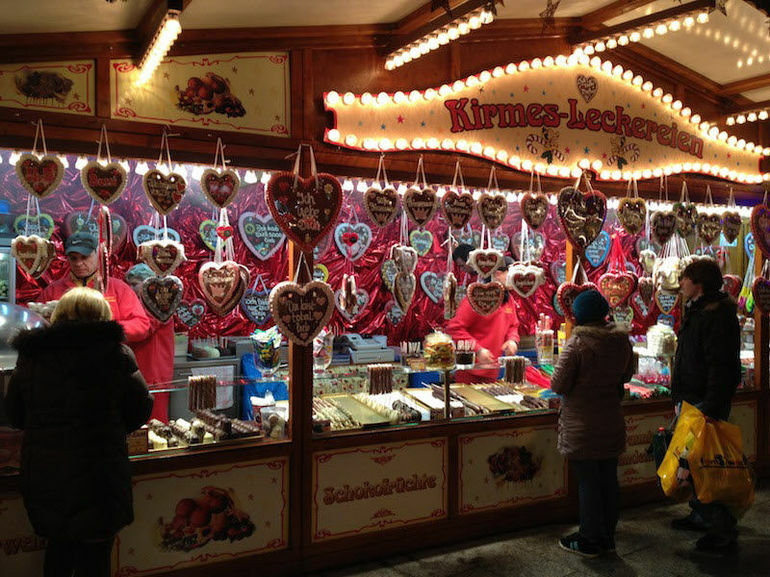 This sounds like the ultimate German Christmas Market indulgence! 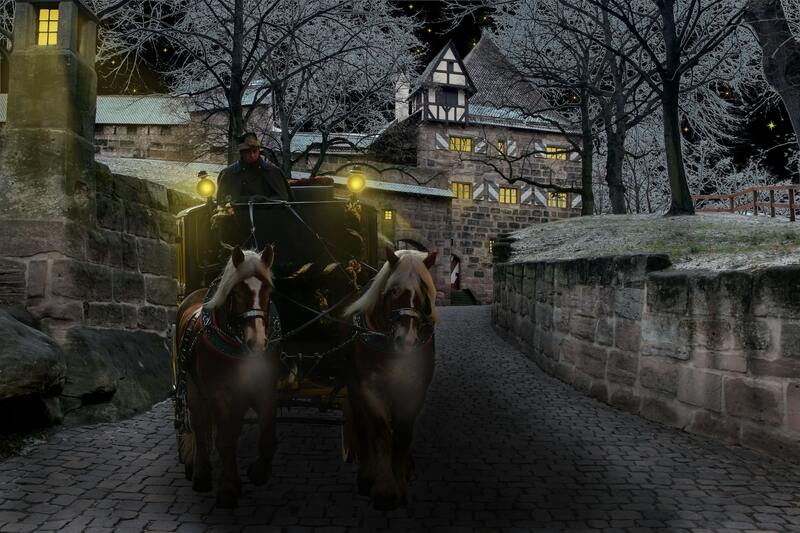 Discover some traditional German Christmas festivities on this guided, 4-day tour from Frankfurt. 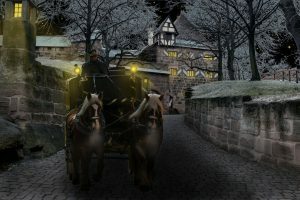 Visit the cities of Leipzig, Dresden, and Plauen on this exciting Christmas adventure. Take a tour of German Christmas markets, and look for one-of-a-kind gifts. 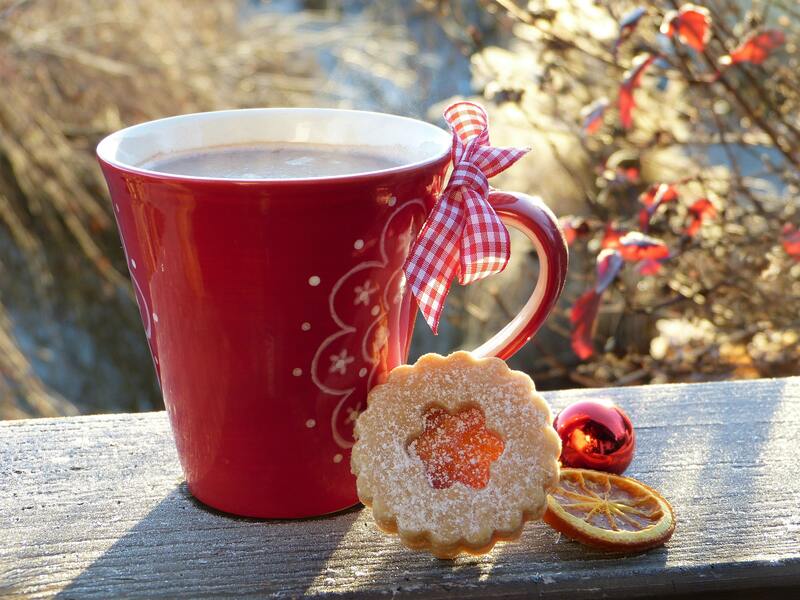 Enjoy traditional German snacks such as bratwursts and mulled wine. 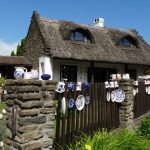 Visit one of Germany’s oldest porcelain manufacturers, and then see the art of woodcarving in some ancient German towns. Embrace the sights and sounds of the season on this unique holiday tour. Some entrance fees, overnight accommodations, and round-trip coach transport from Frankfurt are included. 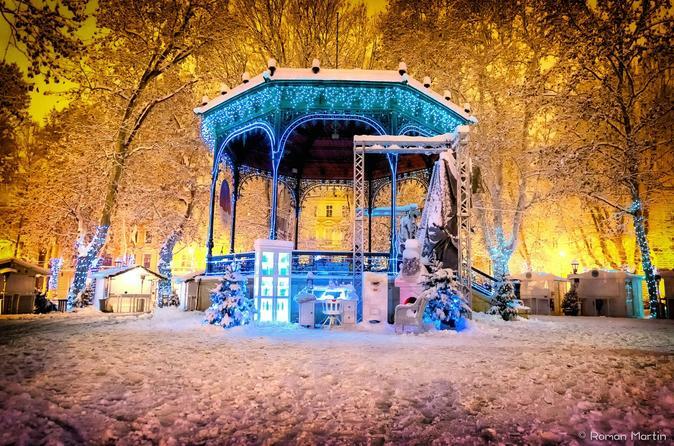 Budapest is one of my favourite European cities and I can imagine being there at Christmas would be amazing! So much to see and do in a vibrant and friendly city! I fell in love with Zagreb when I visited in July! Such a relaxed and friendly little city. 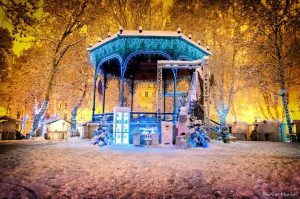 My research suggests that Zagreb is one of Europe’s most popular and really special Christmas destinations and this walking tour sounds just perfect! I found Ljubljana to be such an enchanting and pretty little city when I visited in July and I can easily imagine it will be a fairy tale setting at Christmas time! This tour sounds like the ultimate foodies dream! My mouth is watering and I’m not even there!! Experience Ljubljana Christmas spirit like a local: your friendly guide, also your new connection in town, will share the joys of festive eats and drinks in Ljubljana in this special time of the year. 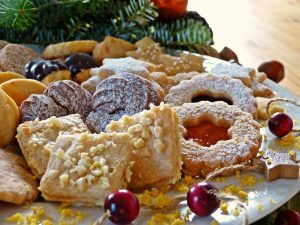 During a 3-4 hour small-group gourmet walking exploration of the city you will discover traditional as well as contemporary and signature December dishes and customs from small, local, independent providers. Stop at the Christmas market and nibble some traditional cake, potica. After you have savored all our love and knowledge for Ljubljana cuisine, you will wrap up the experience on a boat ride which offers a unique perspective on the holiday lights with, as the tradition goes, mulled wine. You will eat, drink and rejoice like a local – with a local. 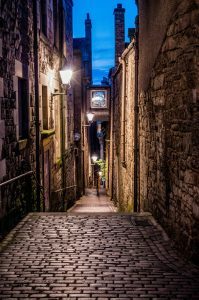 Of course there are some wonderful places and events to visit right on my own doorstep and the UK is so diverse for such a small group of islands that there is bound to be something for everyone! 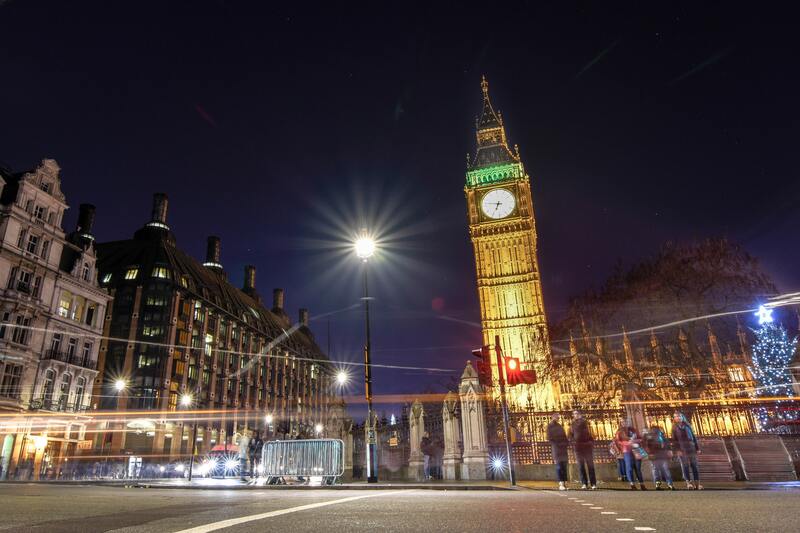 London is a really exciting place to visit at any time of the year and must be on countless bucket lists!! 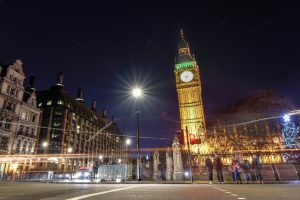 So much to see and do but at Christmas time it is especially thrilling with Oxford Street Christmas lights and Harrods Christmas Windows to mention only a couple of special attractions. But I’ve also found this lovely day trip out of London which takes you through the picturesque Cotswold Villages to Blenheim Palace to see the light trail. I can’t think of anything more enchanting! Once a year one of the most beautiful palaces opens its grounds for a festive light display on a trail around the vast grounds. On this tour we will explore key highlights of the Cotswolds, as well as some small hidden villages. We then finish off by taking a nice relaxing stroll around the light trail at Blenheim Palace, before we drive you home. 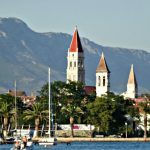 As with our regular private driving tour you have complete flexibility so that you get to see the sights which interest you the most. We have a recommended route but the itinerary is totally flexible so if you would prefer to spend longer in a place you like or add an attraction which interests you then we can accommodate you. I absolutely loved this historical period drama television series and watched every episode from beginning to end! The Christmas edition of each series was always especially lovely and I could immerse myself in the imagination of being there with the Crawely family!! This tour would be a fantastic way to bring that fantisy to life! Enjoy a classic English Christmas experience at the home of ‘Downton Abbey’ with this festive evening visit and dinner at Hampshire’s Highclere Castle. Leave central London by comfortable, air-conditioned coach and travel to Highclere, one of England’s most beautiful stately houses, and the setting of the much-loved TV series. 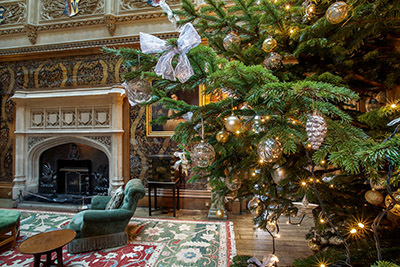 Enjoy Champagne and canapés in the Saloon, discover some of the lavish reception rooms, and hear about Highclere’s history from the official guides. Finish with a succulent3-course dinner with wine, and a magical performance of carols around the tree. 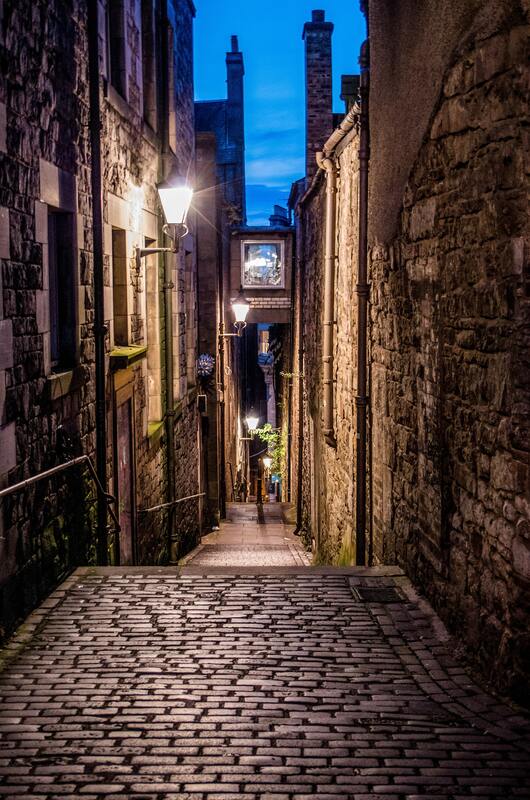 Edinburgh is indeed enchanting at any time of the year but visiting the Castle, walking down the Royal Mile and shopping on Princes Street at Christmas time is especially enchanting. 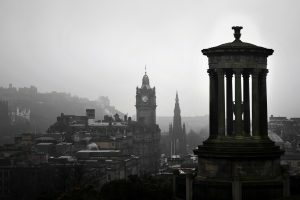 Here is a private walking tour which gives you the opportunity to experience the best of Edinburgh at Christmas through the eyes and knowledge of a local! There’s just something about wrapping up warm over Christmas to really get you in the festive spirit! Edinburgh is a fairytale city year round, but December is when it really becomes an enchanting winter wonderland. 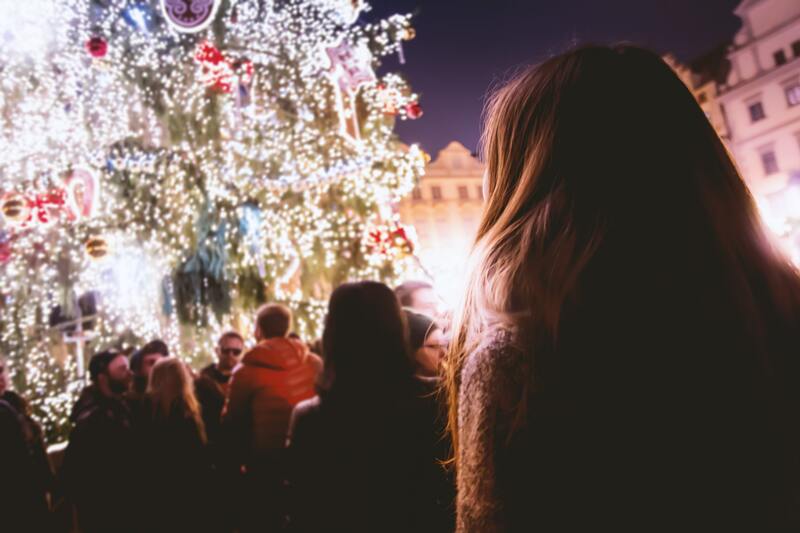 Spend an evening exploring the most magical parts of the city with a local to discover historic cobbled streets draped in festive lights, a magical Christmas market and glittering Christmas trees. Indulge in festive treats and browse the Christmas markets to buy unique gifts, stroll through mazes of twinkling lights and warm up with a spiced cider, hot chocolate or a wee dram of whisky! Where better to experience the true meaning of Christmas than by visiting where it all began. 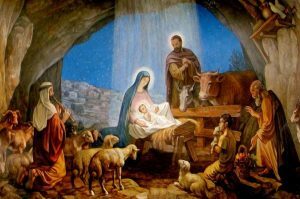 Join our exclusive Christmas Eve in Bethlehem tour, to partake in Midnight Mass. This tour also includes visiting Jerusalem during the day, where it all began. This tour is available from Tel Aviv, Jerusalem, Herzliya, Dead Sea or Eilat, on December 24. India is at the top of my bucket list and this rather lovely six day package sounds incredibly tempting!! Rajasthan is the land of colours and festivals. 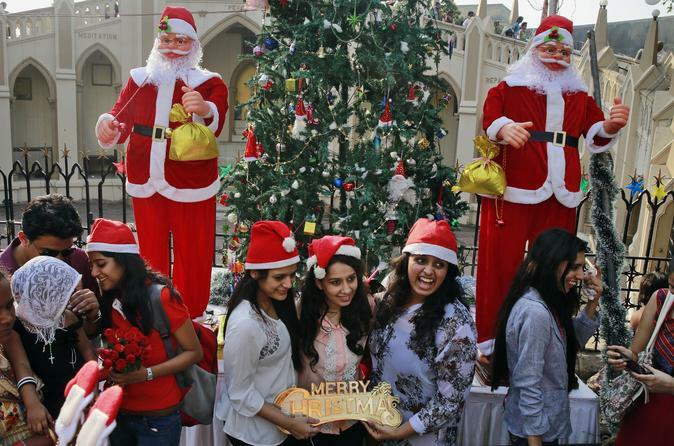 From Dipawali, Holi, Rakshabandha, Christmas or New Year, celebrate all festivals with joy and excitement. Our packages offer you a range to culture interest in India. This special holiday package is designed to offer you some special moments of Indian Culture during Christmas or New Year in India. This sounds like a fabulous alternative winter tour! 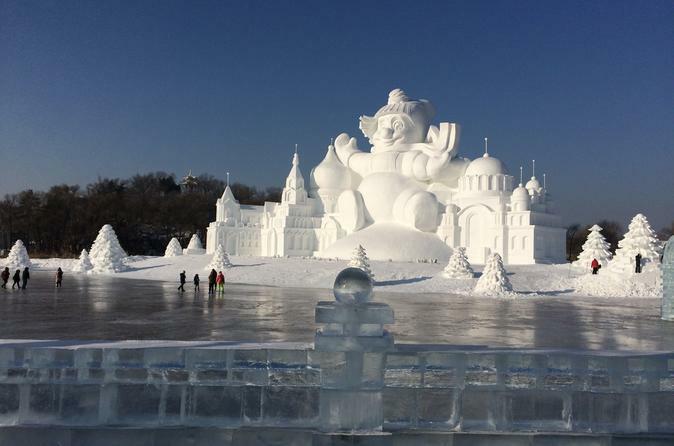 If you happen to be in Harbin during winter time, come and join this fun day tour to see famous Ice and Snow festival and other winter activities, such as icy swimming show at Songhua River, the Snow Festival at Sun Island as well as the Ice Festival at Ice and Snow world. If you also can pick one attraction that you want to visit the most (you can discuss with your guide about it). 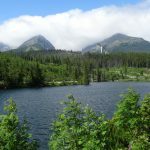 This private day tour includes all entrance fees, lunch and private vehicle service. 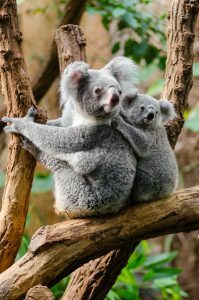 I lived in Australia for nearly twenty years, in three of its main cities, Sydney, Melbourne and Adelaide and in country Victoria in Mildura. I loved my life in Australia but always found it a little strange to celebrate Christmas in the middle of summer. Tinsel sparkled brightly in the sunshine and it was usually far too hot to cook a turkey on Christmas Day which was usually spent outside cooking lobster or prawns on the BBQ! Nonetheless it was lovely and living in Sydney also gave me the opportunity to see Sydney Harbour spectacular New Years Eve fireworks display. 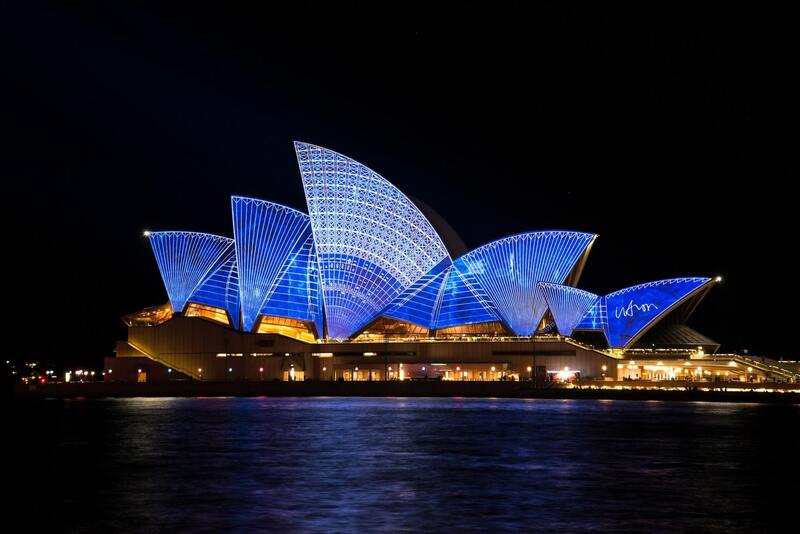 Here are a couple of ideal ways to spend Christmas and New Year in Sydney. Celebrate the arrival of 2018 with a festive New Year’s Eve dinner cruise on Sydney Harbor. Ring in the new year in style aboard a traditional square-rigged tall ship with a cruise that includes dinner, drinks, music, and front-row views of Sydney’s famous fireworks display. 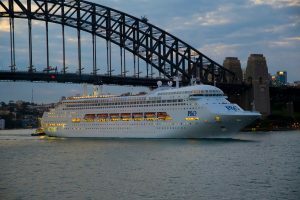 Enjoy watching the procession of colorfully illuminated vessels on Sydney Harbour while dining on fresh seafood, meat, and vegetable dishes accompanied by unlimited wine, beer, and soft drinks during this 5.5-hour cruise from Darling Harbour. The above are just a few exciting and interesting ideas that I found while exploring VIATOR.COM. However the world has so much to offer and the potential for amazing Christmas experiences and life experiences are endless. Wishing you happy Festive travelling! I am an Affiliate Partner of several companies such as Booking.com, Viator.com, Trip Advisor and Amazon.com which means that should you click through to these sites from links in this post or any others on this site and subsequently make a purchase I may gratefully receive a small commission which helps towards the cost of running this site at no extra expense to you. Photo images used on this post have either been downloaded from free stockphotos on pexels.com or downloaded from the relative package or tour information on Viator.com.